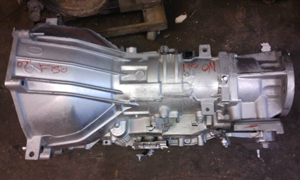 A-1 Auto Recyclers provides several products for diverse auto repair and rebuilding needs. We can fulfill part needs for cars as early as the 1970s and work with foreign, American, and European brands. We offer a 90 day or longer warranty for each of our products, and every employee is trained in all of our service areas. Our friendly and helpful staff will find what you’re looking for. Current product inventory includes auto body parts, cleaning and servicing supplies such as waxes, fluids, and oil, batteries, clutches, mufflers, radiators, and suspension components. We also have wheels and tires, replacement sunroofs, brake parts, engines, electrical system parts, and full exhaust, fuel, and transmission systems. We also offer air conditioning parts to make driving your vehicle more comfortable in the summer months, and auto body parts to restore the cosmetic look of your car. Through our inventory and skilled services, we can take a car from unusable to fully functioning. A-1 Auto Recyclers offers a wide variety of glass for any vehicle. Our auto glass can be cut to size for replacement windows. We have glass for standard slide windows as well as van and truck windows that open outward. This glass is shatter resistant and can withstand extreme temperatures. All of our auto glass is manufactured to original equipment manufacturer standards. We also offer plate glass, which is a thick, fine-quality glass designed to create home and door windows. Using this type of glass for your car windows and windshields ensures they will be durable, scratch resistant, and last the life of your vehicle. This glass is very effective in controlling the temperature in your vehicle as well. We also use a specific type of glass designed for windshields, adaptable for small cars, large SUVs, and commercial vehicles such as semi –trucks and delivery vans. We have an inventory of windshield glass that fits several sizes, or we can custom-cut the glass to fit your car. At A-1 Auto Recyclers, we will ship products Worldwide.